Capture the finest details in 4k(qfhd: 3840 x 2160), 4x full HD resolution. The xavc S codec and incredibly high resolution produces vibrant and extremely realistic images. 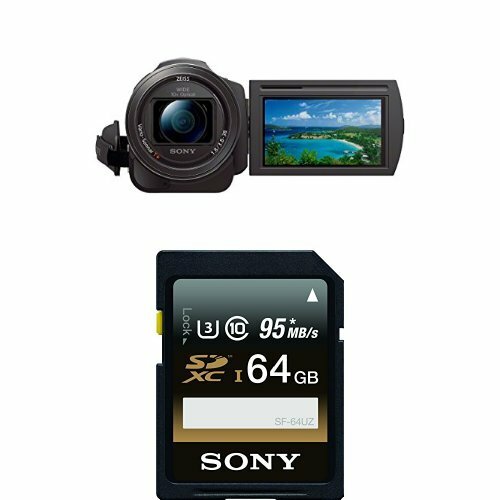 The blazingly fast image processor is the same one employed in professional Sony models, making it possible to record 30p movies in 4k and 60p in full HD 1080 resolution for incredibly smooth and sharp playback, with no loss in realism, even when panning the camera and shooting moving subjects. Now for the first time in 4k, get the ultimate in image stabilization with b.O.S.S. On standard optical steady shot camcorders, a single shift lens is moved in the optical block to offset camera shake. Balanced optical steady shot moves the entire optical block at once, maintaining the integrity of the optical path and reducing shake and distortion in videos and still photos. Capture incredibly sharp 4k or HD with the newly developed Zeiss vario-sonnar t lens. Not only is this 29mm wide-angle ideal for capturing grand landscapes, you can also zoom to get you closer to the action with 10x optical zoom and 20x clear image zoom. 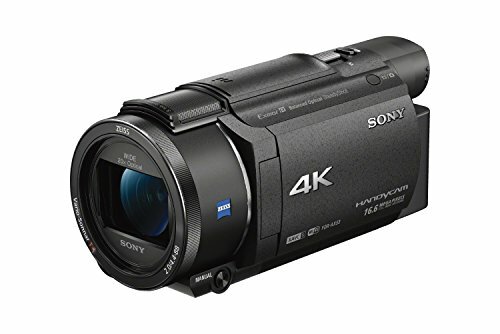 The Sony fdr-ax33 4k ultra HD handy cam camcorder incorporates direct pixel readout utilizing the entire width of the image sensor without line skipping or pixel binning. Therefore in both HD and 4k video acquisition it can read and process data from every one of the sensor s pixels. This results in smooth edges and color gradation giving you the incredible video from a tiny camera. 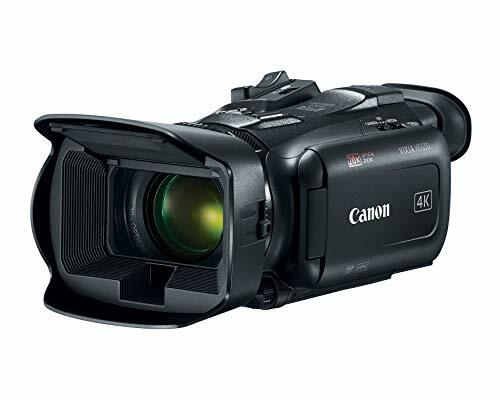 Get the most out of your camcorder with enhanced manual controls. The assignable dial allows for control of focus, exposure, white balance, iris and shutter speed. The fdr-ax33 records 4k and HD movies in the xavc S format, which uses mpeg-4 avc/h.264 for video compression and linear pcm for audio compression, while saving files in a MP4 wrapper which allows for extensive record times and easy editing. 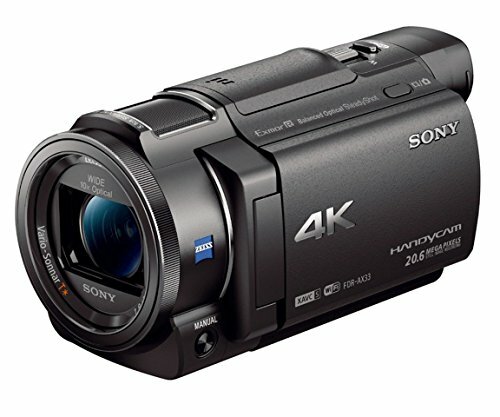 Additionally, you can chose to record HD in avchd. 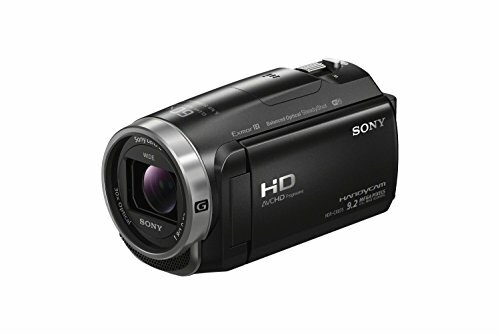 HD camcorder. Genuine Canon 20x high Definition optical zoom Lens. New, advanced HD CMOS Pro image sensor with improved Low-light performance. 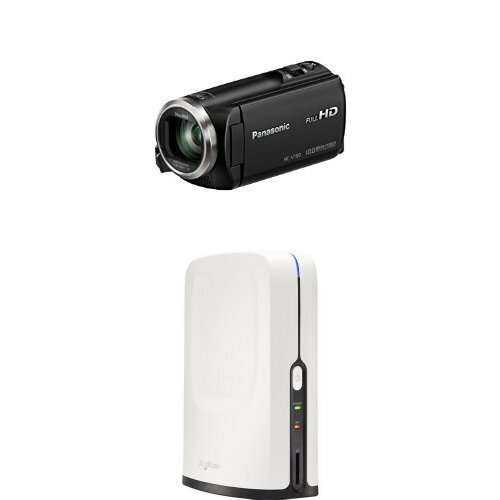 Full HD 1920x1080 recording capabilities. 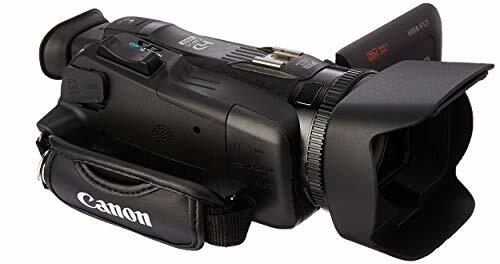 Seeing is believing and with 4K capabilities in the VIXIA HF G50 camcorder, you'll be seeing everything more dramatically, more intensely and more realistically. Detail and color reign supreme with the large-format CMOS Sensor, which combines with the DIGIC DV 6 Image Processor to deliver brilliant results on any screen. An advanced 20x Optical Zoom lens gives you impressive telephoto power and a wide angle of view, while the 5-axis Image Stabilization system provides the steadiness and focus you need for your productions. With 4K resolution, amazing features and a mobile-friendly design, the VIXIA HF G50 gives you stunning video quality on the go. 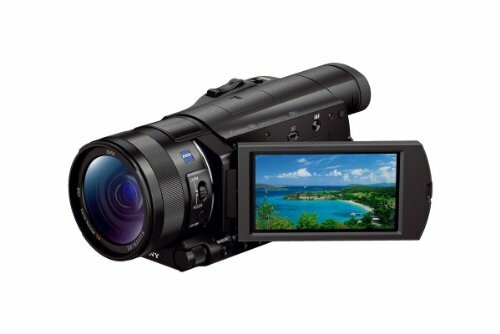 The Panasonic WXF1 camcorder will delight the 4K video enthusiast in the family with cinema-like recording experience. 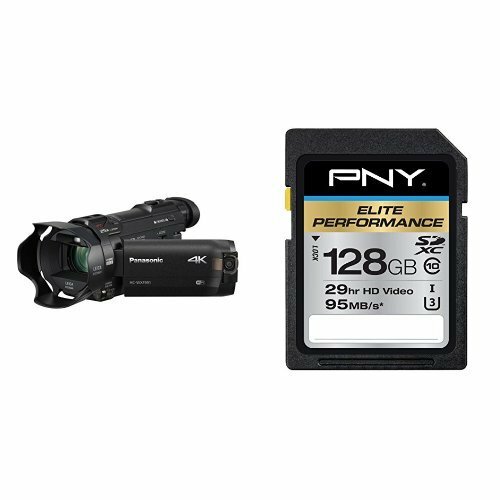 These semi-professional features include an electronic eye viewfinder and quick access buttons to Variable White Balance, Focus Expand and Peeking and Custom Autofocus, plus a manual lens mounted control ring. Improved optical and sensor performance is backed up by a new LEICA DICOMAR 24X optical zoom lens (25-600mm) with a bright aperture range from F1.8 wide - 4.0 tele, and a large 1/2.5 BSI MOS Sensor for impressive capture even in low light. To keep the image rock stable, three unique optical image stabilization technology work together; 5-Axis HYBRID O.I.S.+, Ball O.I.S., and Adaptive O.I.S. For a more natural look, the WXF1 has a new Active Contrast technology equalizes gradation, while the HDR Movie mode enables a wider dynamic range response. MULTI-CAMERA LIVESTREAMING - Wirelessly connect up to 10 cameras, smartphones, and drones to get the perfect angles in HD. Stream your live-switched video production to Facebook Live, YouTube, Twitch, Periscope, Livestream, Ustream, Restream.io and RTMP sites. Use the free iOS or android capture app to quickly stream and create wireless multi-camera productions from your apple or android mobile devices in full HD. WIRELESS & PORTABLE - SlingStudio works wirelessly up to 300 feet, saving you hours of setup and teardown time. 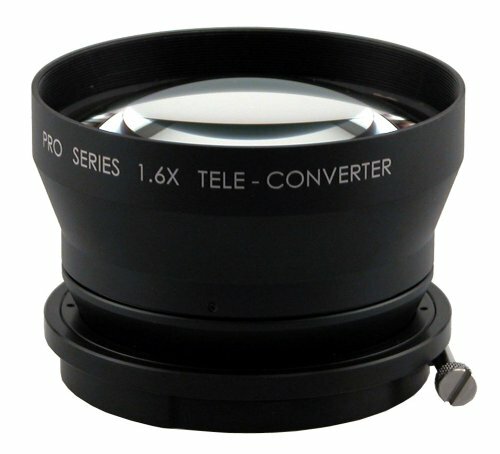 Century Lens Accessories for JVC GY-HD110U & 100U ProHD Camcorders: 1.6X LC Tele Converter... Extend the reach of your zoom without exposure loss. The Century 1.6X Tele-Converter is a clampon front-mounted accessory that also provides greater telephoto reach. Use it to instantly shift the focal length range of your camera in the telephoto direction. The perfect tool when it's inconvenient, dangerous or impossible to move as close to the subject as you'd like. 85mm clamp ring included. 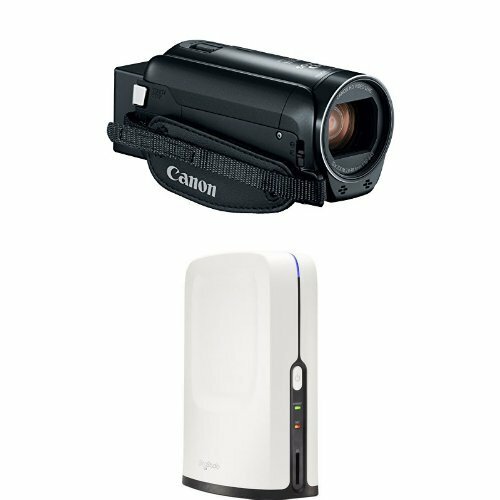 Century Pro Series HD accessories offer quality professional lens add-ons designed to extend the capabilities of your lenses. They help you go wider, reach further, and movein closer than the lens alone allows. The superb Century optics provide the finest professional images. These state-of-the-art lenses minimize chromatic aberrations and unwanted distortion and produce HD quality images that are ultrasharp edge-to-edge.